How about Visio for Mac? When will IE return to Mac? 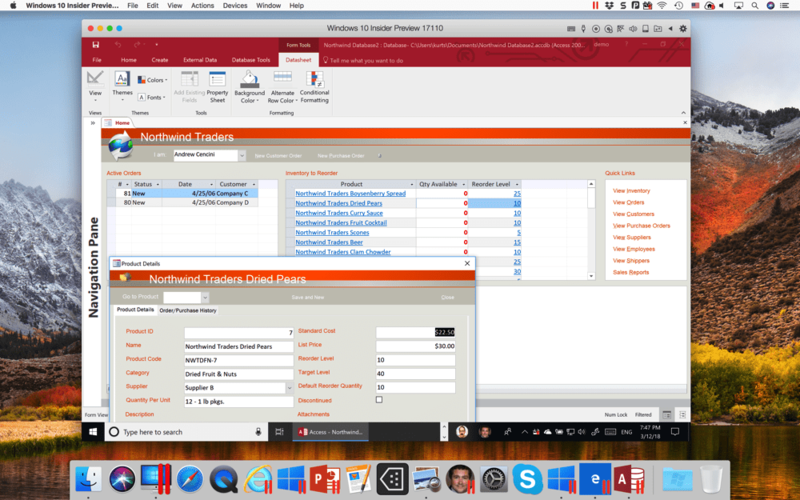 Will we ever see a Microsoft Project for Mac? Where can I get Access for Mac? When will (insert name of hot new game here) be available for Mac? Most of these requests are for well-known Microsoft applications on Windows, and Mac users want them. Let me address a few of these in some detail. It’s unwise to say “never” with regard to future development efforts by a company as large as Microsoft, so I will predict this about Visio for Mac: it’s very, very unlikely to ever happen. I, and many others, believe the development costs to produce a Mac Visio that would faithfully render any existing Visio drawing (and have almost all the functionality of Visio for Windows) would never be recouped by Microsoft. For any Mac software company, a software product that brought in $50 million per year would be viewed as a fantastic success. But in the rarified world of the Microsoft Office team, such a product would be considered a dismal failure. Exactly the same as Visio: very, very unlikely to ever happen, and for exactly the same reason. There was a version of IE for Mac about 15 years ago. Microsoft ceased development of IE for Mac in July 2003. Given that there is no new development for IE for Windows (because of the release of Microsoft Edge in 2015), there is no chance at all for a future release of IE for Mac. The graphics foundations on Mac and Windows diverge sufficiently that porting any hot new Windows game over to the Mac is a major undertaking. It would be unlikely to recoup development costs, for the same reasons as the Office applications. You can read more details about DirectX and OpenGL. What’s a Mac User to Do? Use a viewer application. In some cases, a viewer application that faithfully renders a document that you could not otherwise open will suffice. 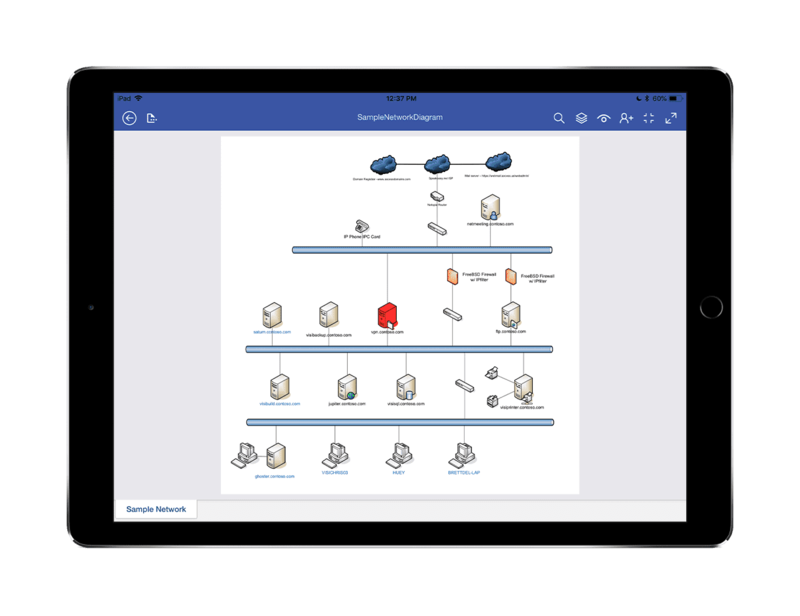 In the case of Visio, Microsoft has released a Visio Viewer for iOS, as shown in Figure 1. Use a competing application. 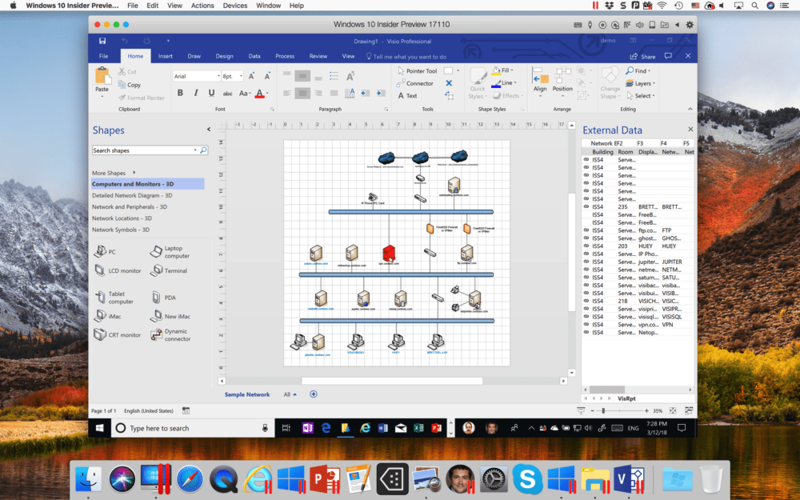 Search for “Visio for Mac” on Google, and many of the results will be for third-party applications for Mac that open Visio drawings and provide much of the same functionality. Run the real Windows application on your Mac. If you need the real Visio with all its functionality, then use Parallels Desktop® for Mac to run Windows 10 on your Mac and purchase Visio from Microsoft. You lose no functionality or visual fidelity, since you are running the real Visio in the environment it expects: Windows 10. Figure 2 shows Visio running on my MacBook Pro®. Figures 3 and 4 show Access, and Figure 5 shows IE—all running on my MacBook Pro. 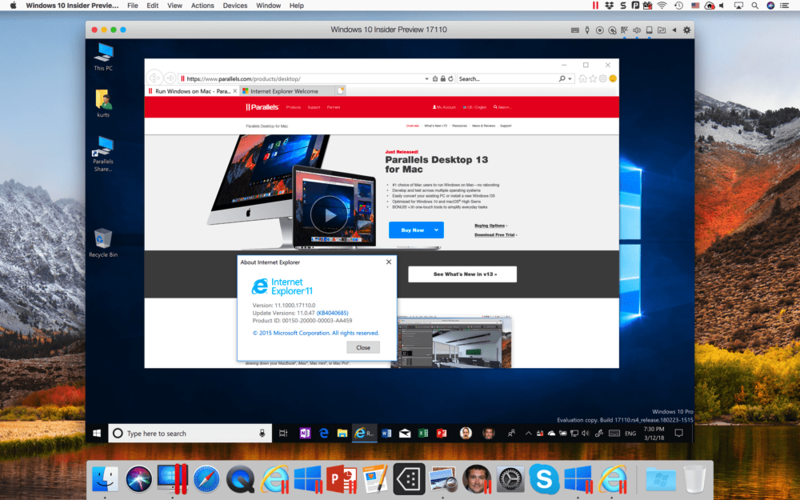 While you may not be able to get the Mac applications you desire, you can get the Windows versions and run them right alongside your Mac applications.